Christmas and birthdays with a baby are so magical. But what comes with that are loads and loads of gifts. 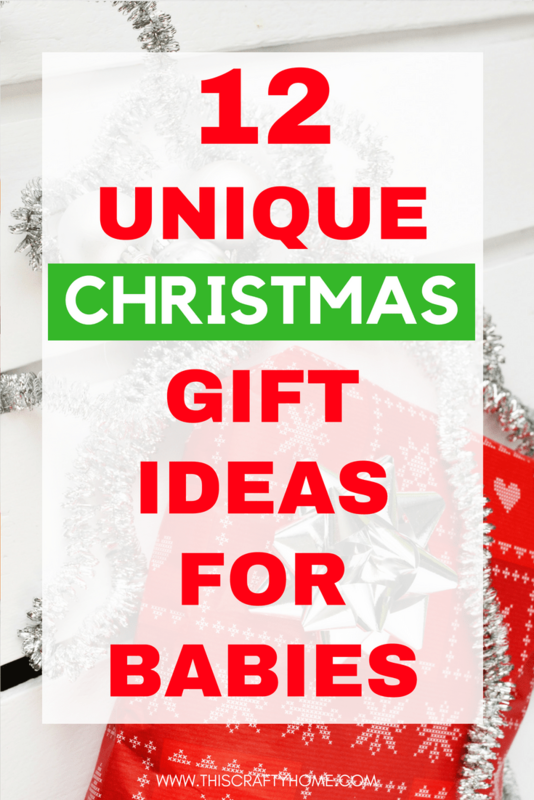 Unique baby gift ideas are hard to come by! I have a friend who received no less than 5 walkers for her daughter for Christmas one year. 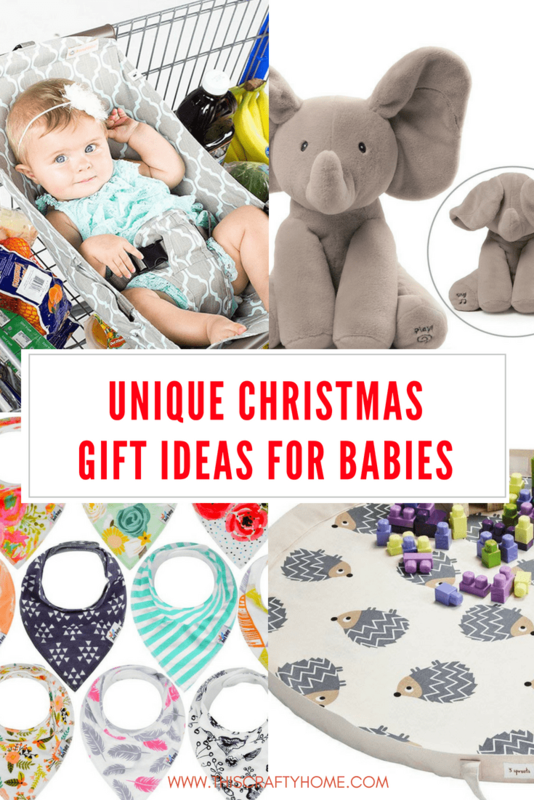 Whether you are the cool aunt or the loving granny, finding a gift for your little one that isn’t just like every other one they are receiving is hard work! 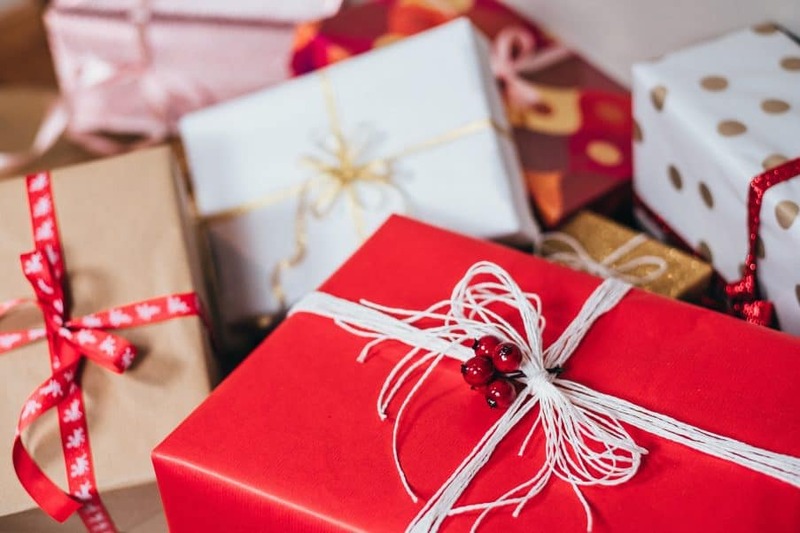 If you are a parent let me give you my Christmas pro tip- make a public Amazon wish list for your little one for Christmas. Tell everyone they can simply buy her gifts off there, it really helps you not receive random toys you already have or things they just aren’t interested in. Through our last few Christmases, we have received many gems and some duds. 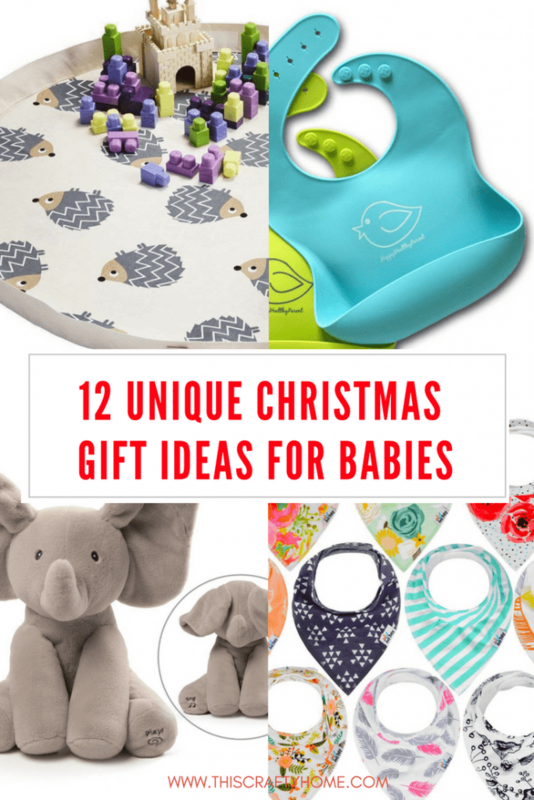 This list will give you all the best unique baby gift ideas for Christmas. I love the idea of giving something as a gift that is not a tangible thing. Experiences can be such a great gift for the little one who seems to have everything they actually need and more! For babies obviously, this may be a little difficult. 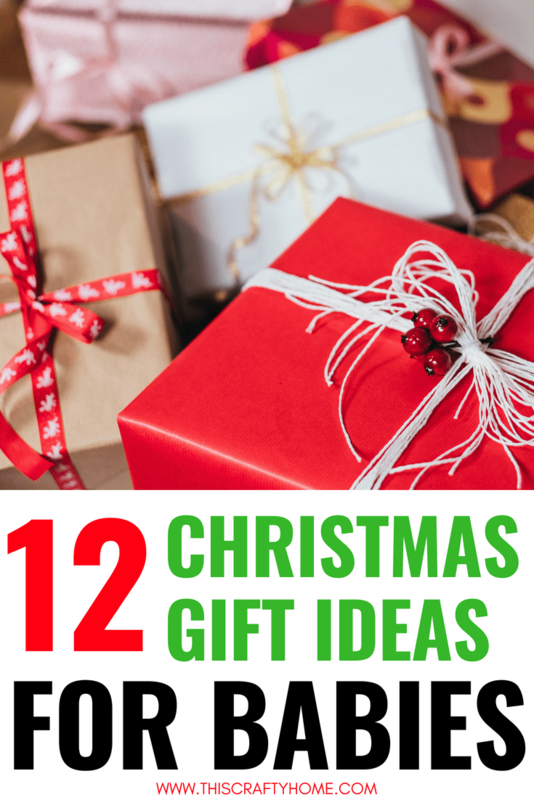 Keep in mind their age, or just make sure that the gift can be used a little later if needed. This play mat bag is literally a thing of beauty for many different reasons. Not only does it give you a flat space for your little one to play it also changes into a bag that scoops up all the toys in one fell swoop. Baby toys can get everywhere and you can constantly feel like you are cleaning up the same mess. This bag takes all of that out of the equation. I didn’t use these drool bibs with my first little one, and now I am kicking myself! These bibs are great to absorb spit up and drool. Because of these awesome things I don’t have to change my son’s clothes 10 times a day, just once or twice when he really gets messy. These fancy bibs have saved my shirt, his shirt, and his car seat straps many hundred times, plus they are very cute. This bib is the perfect partner to the Bandana Drool Bibs, especially if you have a messy eater! These Silicone bibs catch any food that is falling to save your little one from being completely covered by food and since it is silicone it cleans SUPER easily. When we did baby led weaning with my daughter these were a Godsend and I can’t wait to use them again with my son! 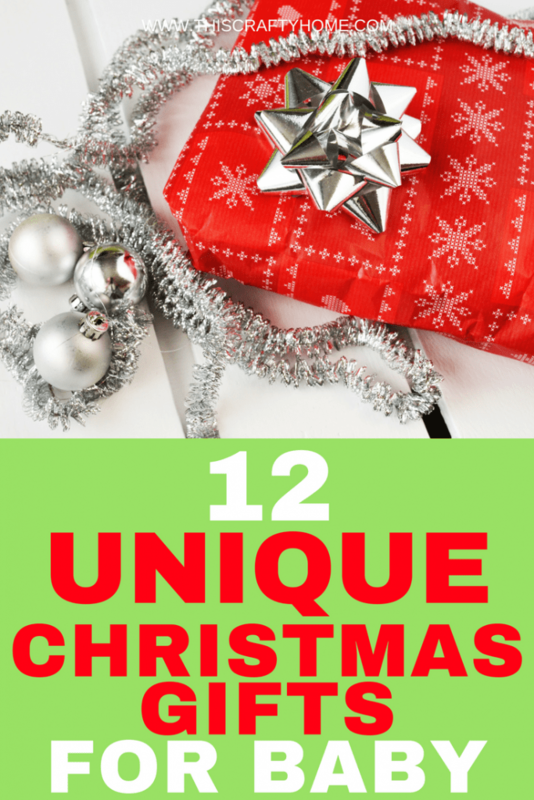 I’m all about personalized gifts, so really you can let your mind run wild on this one. This fuzzy personalized baby blanket and it is a great example of a cuddly gift that would be perfect for a little one to keep for a very long time. If you haven’t heard of the magic of these teething necklaces you should do a little research! Countless moms have given these necklaces rave reviews on their abilities to help with teething. 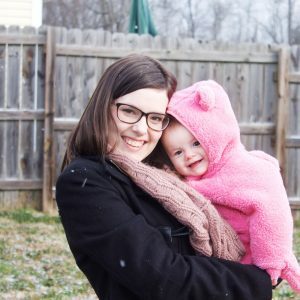 I’ve mentioned this product before but with my second little one this activity bar has been even more of a hit and I can’t sing it’s praises loud enough. We take many 2 plus hour trips in the car per year and this toy has occupied both my little ones in the car and turns grumpy babies into happy car riders. If you’ve ever been grocery shopping with a baby you know they hate staying in their car seats, and of course, there is also the issue of a safe area to even sit the seat. This shopping cart hammock solves both of those issues and lets baby hang out in a hammock while you get your groceries done. If parents aren’t a fan of this I also use a boba wrap for the grocery store and outings in general and it works wonders. When little ones start eating solid food you tend to start finding little spills of snack foods all over the house. These little snack catchers are perfect for toddling little ones and will save mom’s sanity a million times over. This is the only traditional toy I’ve included on this list, and it is because this elephant is just too darn cute to leave off. What baby doesn’t like peek a boo? And what parent doesn’t get tired of playing it after the 25th time? This adorable elephant play peek a boo, sings, and is super adorable. 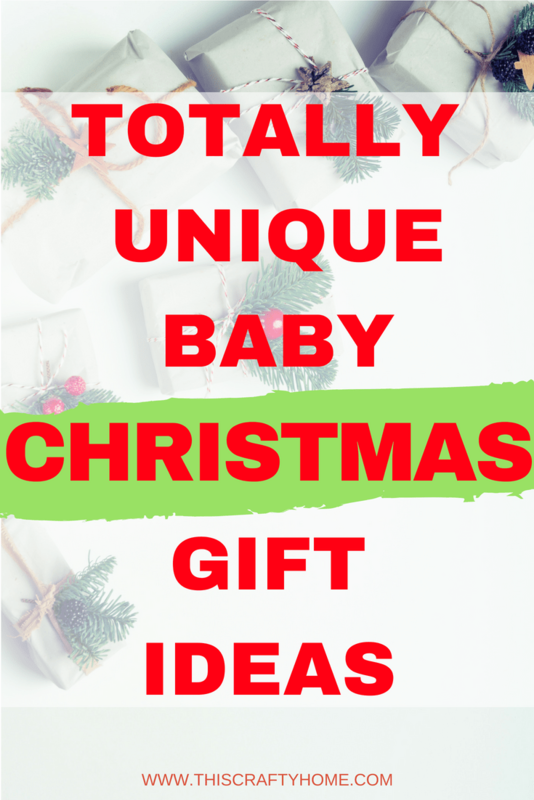 This is probably one of the most practical gifts on the list but diapers and wipes are really an AWESOME gift that doesn’t get given often for special occasions after the baby shower. This is something new parents always need and they will always always thank you for it. I think the key part of giving gifts to babies is to remember they are just babies and they don’t need a ton of things! 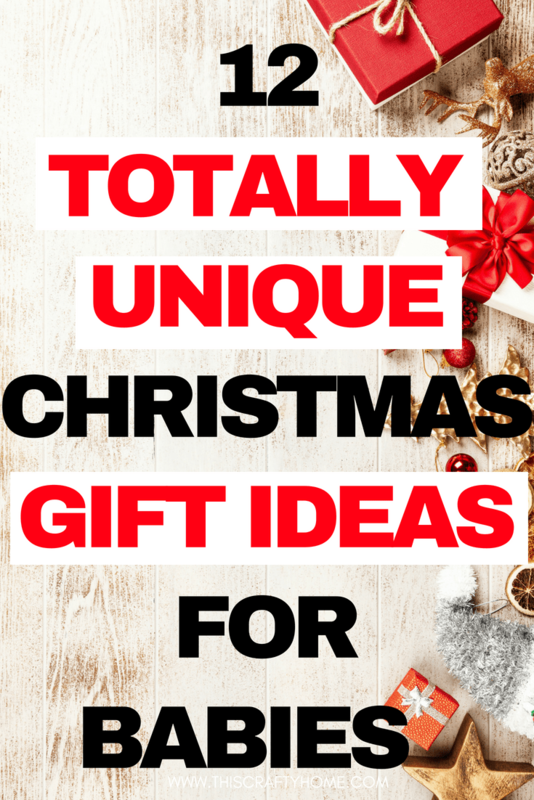 Going for a more unique or useful gift will help mom and dad and not just add one more toy to the stack that the baby plays with for ten minutes and then forgets about. Great ideas, thank you for the article!